Stephen was invited to provide an article on seed quality for Acres USA’s January 2017 issue that focuses on seeds. This is the article that was published in that issue. Everyone wants higher quality seed – from the seed company, seed grower, breeder and home gardener to the production grower. Even people who do not garden or grow anything want better seed, though they may not realize it. Education and quality seed is the focus of our company – Terroir Seeds. We make constant efforts to continue learning and educating our customers about how seeds get from the packet to their garden. 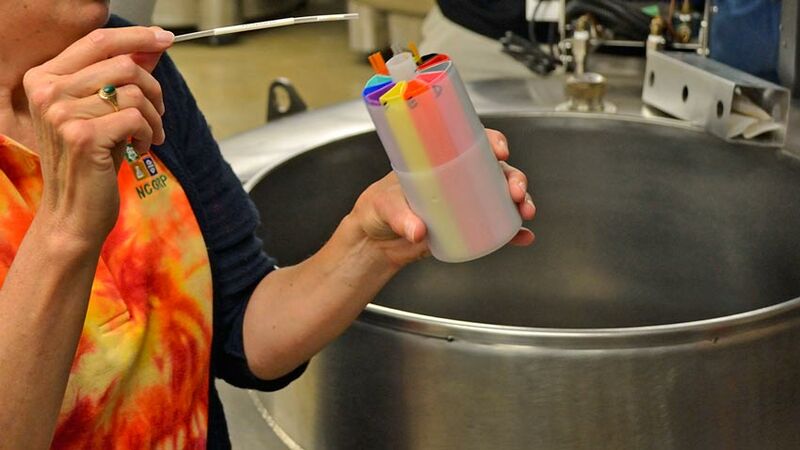 We recently had the opportunity to visit several cutting-edge seed testing laboratories and the USDA National Center for Genetic Resources Preservation to learn even more about seed testing and preservation. We want to share an insider’s look into a side of the seed world that the average person may not know exists. Let’s look at this need for higher quality seed from a different perspective. Everyone is a participant in what can be called the “seed economy”. Everyone, that is, who eats or wears clothes! Anyone who eats depends on seed of some sort for their daily food – from fruits and vegetables to grains, beans, rice and grasses for dairy and meat production. Seed is intimately tied into all these foods and their continued production. Without a continued, dedicated supply of consistently high quality seed there would be catastrophic consequences to our food supply. Cotton, cotton blends, wool, linen, hemp and silk fabrics all come from seed. Cotton comes from a cotton seed, wool from a sheep eating grass and forage from seed, linen from plant stalks grown from seed, hemp from seed and silk from silkworms eating leaves that originated as a seed. Even those who grow and cook nothing need better seed! They still eat and wear clothes. 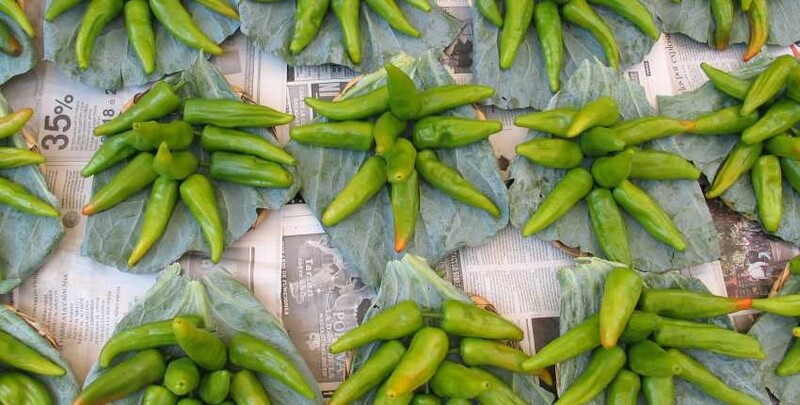 The Chile de Agua pepper from Oaxaca, Mexico is a prime example of how seed preservation works. A well-known chef specializing in the unique Mexican cuisine of Oaxaca needed this particular chile for several new dishes. This chile wasn’t available in the US, so we were contacted through friends to work on sourcing the seed. We found two sources in the US of supposedly authentic Chile de Agua seed and another in Oaxaca, Mexico. After the Oaxacan seed arrived, and those from Seed Saver’s Exchange network and the USDA GRIN station in Griffin, GA we sent them to our grower for trials and observation. All three seed varieties were planted in isolation to prevent cross pollination. 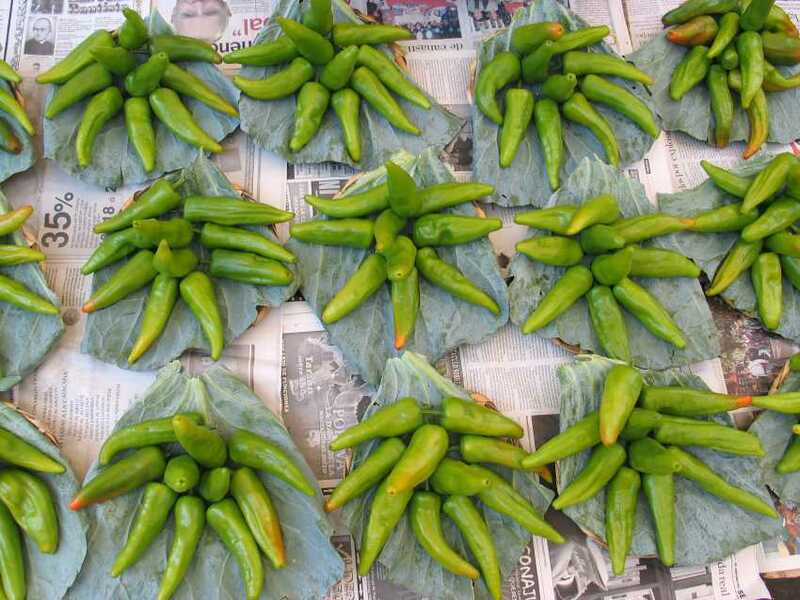 Authentic Chile de Agua has unique visual characteristics, the most obvious being it grows upright or erect on the plants, not hanging down or pendant. Both seed samples from the US were pendant with an incorrect shape. Only the Oaxacan seed from Mexico was correct. We then pulled all the incorrect plants, keeping only the seed from the correct and proper chiles. The next 3 seasons were spent replanting all the harvested seed from the year prior to build up our seed stock and grow a commercial amount sufficient to sell. This process took a total of four years to complete. There are two major approaches to improving seed quality – seed testing and seed preservation. One verifies the current condition of the seed, while the other works to preserve previous generations for future study and use. There are several different methods of seed testing, from genetic verification and identifying DNA variations to diseases to the more traditional germination and vigor testing. 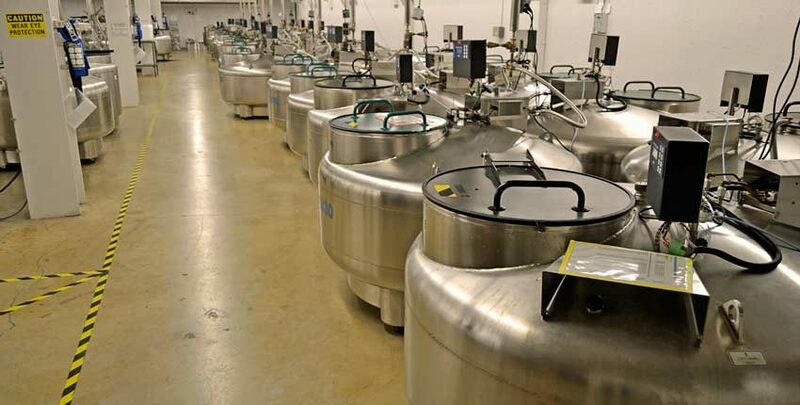 Likewise, approaches to preserving the genetic resources of seed are varied – from a simple cool room to climate and humidity controls for extended storage to cryogenic freezing with liquid nitrogen. At its most basic, testing of seed simply verifies the seed’s characteristics right now. Whether testing for germination, vigor, disease screening, genetic markers or seed health, the results show what is present or absent today. Changing trends in important characteristics are identified by comparing with previous results. This trend analysis is a perfect example of seed testing and preservation working together, as previous generations of seed can be pulled for further testing or grown out and bred to restore lost traits. Modern seed testing labs perform a staggering array of tests and verifications on seed samples. 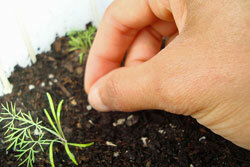 Germination, vigor and physical purity are the standard seed tests for agricultural crops, flowers, herbs and grasses. These three tests are critical for determining a seed’s performance in the field, and satisfy the US seed labeling law showing germination, physical purity and noxious weed percentages. Seed health testing screens for seed-borne pathogens like bacteria, fungi, viruses and destructive nematodes. 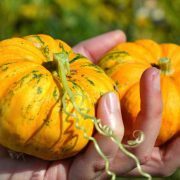 Seed for commercial agriculture and home gardens are often grown in foreign countries and shipped into the US, and vice versa. Seed health testing verifies the incoming or outgoing seed is free of pathogens that could wreak havoc. Plant breeders use the healthiest seed stock possible that is free of any pathogens which would compromise breeding efforts. 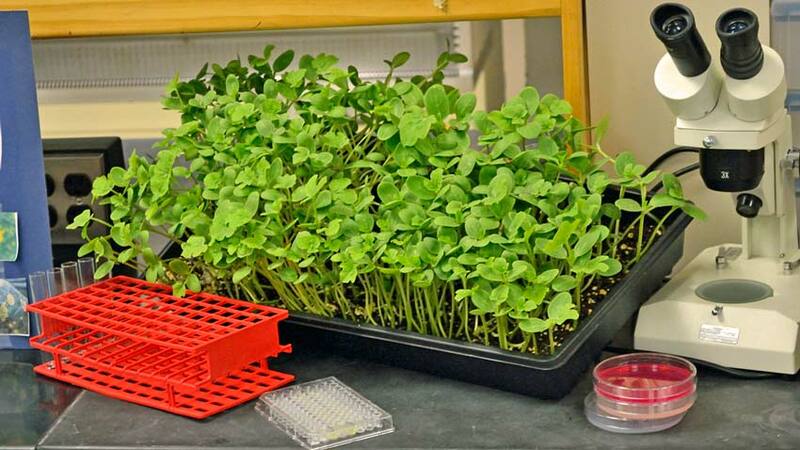 Agricultural researchers use tested pathogen-free seed to avoid skewing results or giving false indications from unforeseen disease interactions. Hybrid seeds need to be tested for genetic purity, confirming their trueness to type and that the hybrid crossing is present in the majority of the seed sample. Traditional open pollinated breeders will use genetic purity testing to confirm there is no inadvertent mixing of genetic variations, verifying the purity of the parental lines. It is common to test heirloom corn for GMO contamination – called adventitious presence testing. This test identifies any unwanted biotech traits in seed or grain lots. This is an extremely sensitive DNA based test, capable of detecting very low levels of unwanted traits in a sample – down to hundredths of a percent. This relatively expensive test demonstrates the absence of GMO contamination, an important quality aspect in the heirloom seed market. Genetic fingerprinting, also called genotyping, identifies the genetic make-up of the seed genome, or full DNA sequence. 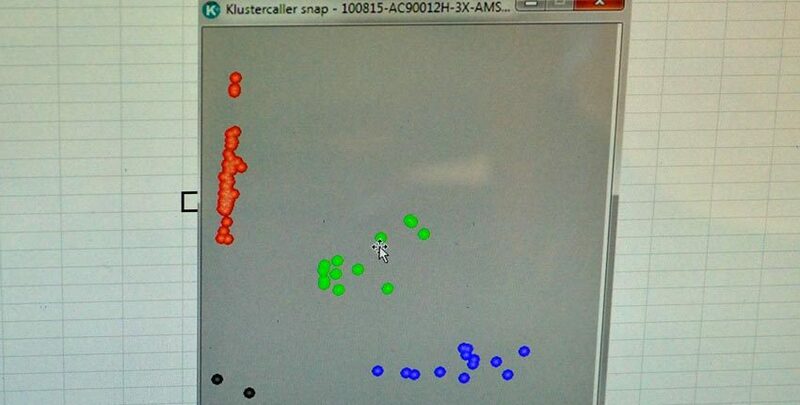 Testing with two unique types of DNA markers gives more precision and information about the genetic diversity, relatedness and variability of the seed stock. Fingerprinting verifies the seed variety and quality, while identifying desirable traits for seed breeders. This testing identifies 95% of the recurrent parent genetic makeup in only two generations of growing instead of five to seven with classic breeding, saving time and effort in grow-outs to verify the seed breeding. Genotyping also accelerates the discovery of superior traits by their unique markers in potential parent breeding seed stock. Using established open pollinated seed breeding techniques, genetically fingerprinted parents help produce the desirable traits faster and with less guessing. To be clear, these are not genetically modified organisms – GMOs – they are traditionally bred by transferring pollen from one parent to the flower of another, just as breeders have done for centuries. 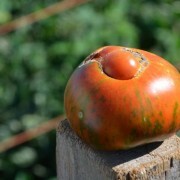 No foreign DNA is introduced – a tomato is bred to another tomato, or a pepper to another pepper. The difference is how the breeding is verified, both before and after the exchange of pollen from one plant to another. The genetic markers identify positive traits that can be crossed and stabilized, and those markers show up after the cross and initial grow-outs to verify if the cross was successful. If it was successful, the grow-outs continue to stabilize and further refine the desired characteristics through selection and further testing. 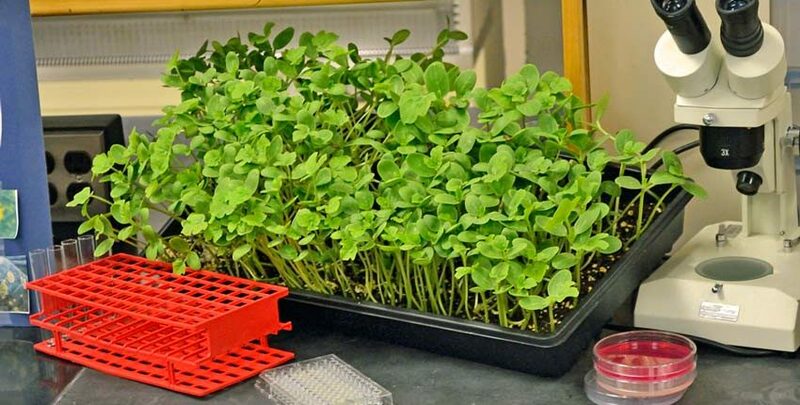 If it wasn’t successful, the seed breeder can try again without spending several years in grow-outs before being able to determine the breeding didn’t work like expected. There are several different types of seed preservation, just as with seed testing. 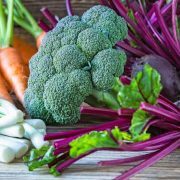 The foundational level is the home gardener, grower or gardening club selecting the best performing, best tasting open pollinated varieties to save seed from. 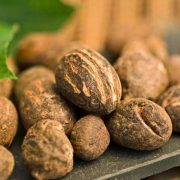 Replanting these carefully selected seeds year upon year results in hyper-local adaptations to the micro-climates of soil, fertility, water, pH and multiple other conditions. Seed preservation work also happens with online gardening or seed exchange forums, regional and national level seed exchanges such as Seed Saver’s Exchange and governmental efforts with the USDA. Many countries around the world have their own dedicated seed and genetic material preservation networks, such as Russia’s N.I.Vavilov Research Institute of Plant Industry. It is named for Nikolai Vavilov, a prominent Russian botanist and geneticist credited with identifying the genetic centers of origin for many of our cultivated food plants. The Millennium Seed Bank Partnership is coordinated by the Kew Royal Botanic Garden near London, England and is the largest seed bank in the world, storing billions of seed samples and conduct research on different species. Australia has the PlantBank, a seed bank and research institute in Mount Annan, New South Wales, Australia. The Svalbard Global Seed Vault on the Norwegian island of Spitzbergen is a non-governmental approach with donations from several countries and organizations. AVRDC – the World Vegetable Center in Taiwan has almost 60,000 seed samples from over 150 countries and focuses on food production throughout Asia, Africa and Central America. The International Center for Tropical Agriculture (ICIAT) in Colombia focuses on improving agriculture for small farmers, with 65,000 crop samples. Navdanya in Northern India has about 5,000 crop varieties of staples like rice, wheat, millet, kidney beans and medicinal plants native to India. They have established 111 seed banks in 17 Indian states. 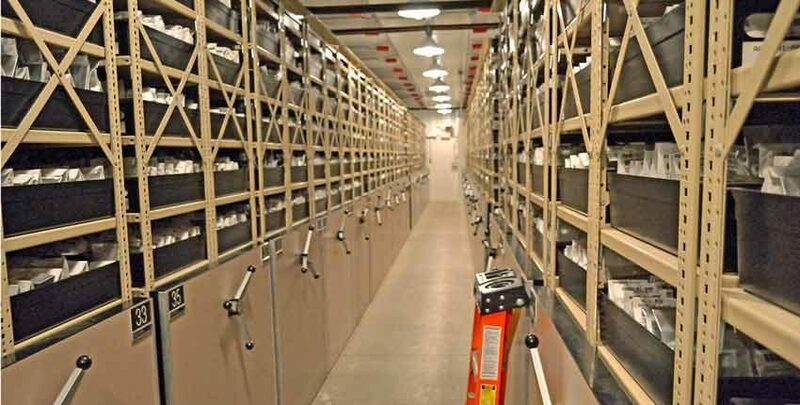 It has been estimated there are about 6 million seed samples stored in about 1,300 seed banks throughout the world. 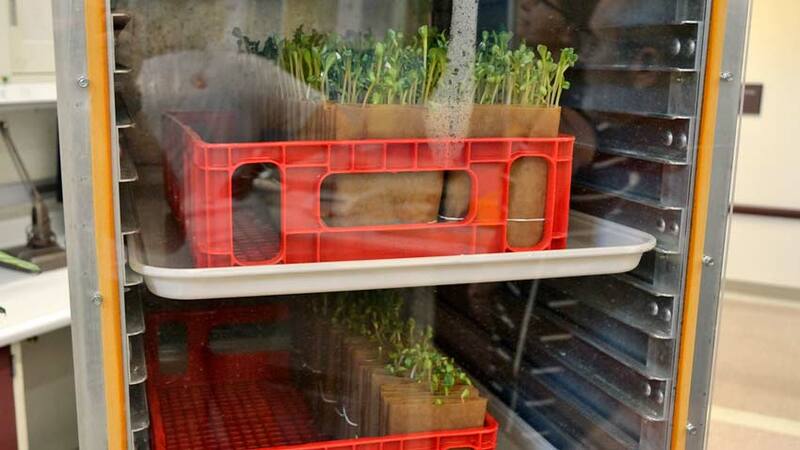 Seed banks aren’t the only ways to preserve a seed. Botanical gardens could be called “living seed banks” where live plants and seeds are planted, studied, documented and preserved for future enjoyment and knowledge. Botanical gardens range from established and well-supported large city gardens to specialized and smaller scale efforts to preserve a single species or group of plants. An herbarium is another form of seed bank with a single purpose of documenting how a plant looked at a specific location at a specific time. 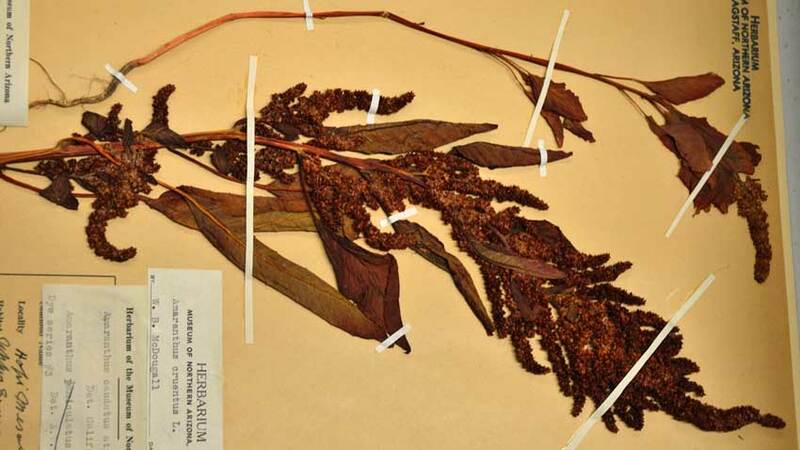 Herbaria are like plant and seed archeological libraries with collections of dried, pressed and carefully preserved plant specimens mounted and systematically cataloged for future reference. 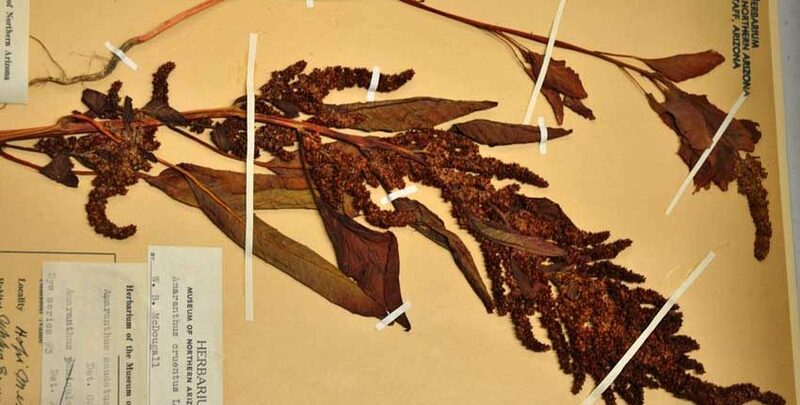 An herbarium can show what corn grown by the Hopi tribe a century ago looked like, or how large the seeds and leaves of amaranth were 50 years ago. Different herbaria focus on certain aspects such as regional native plants or traditional foods grown by native peoples during a specific time. The USDA plays two important roles in seed preservation that is little understood outside those in the seed industry. The first is the Germplasm Resources Information Network or GRIN for short. It is also known as the National Plant Germplasm System. 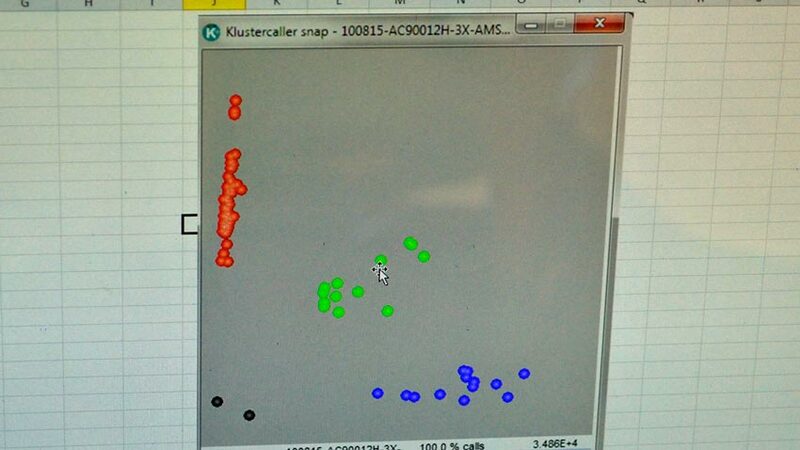 This collaborative system works to safeguard the genetic diversity of agriculturally important plants. Congress funds the program but it partners with both public and private participants. Many of the seed banks are on state university campuses with private sector breeders and researchers using the available seed resources. 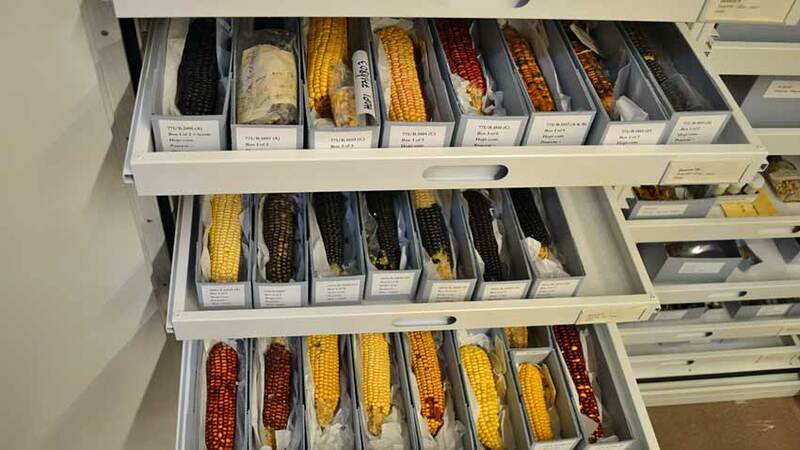 There are 30 collection sites that maintain specific seed stock and conduct research on them. 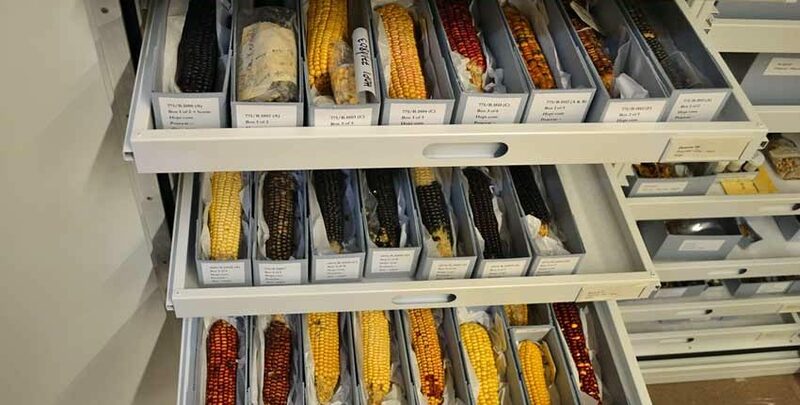 Some are dedicated to a single crop like the Maize Genetic Stock center in Urbana, IL which collects, maintains, distributes and studies the genetics of corn. Potatoes are maintained and studied in Sturgeon Bay, WI and rice is kept in Stuttgart, AR. Others maintain regional varieties like the UC Davis location that focuses on tree fruit and nut crops along with grapes that are agriculturally important in the central valley of California. The second role is the USDA National Center for Genetic Resources Preservation (NCGRP) in Fort Collins, CO. This is the “back-stop” for the GRIN system as well as other private, public institutions and government programs around the world. They store the foundational collections of all the GRIN locations while also working with organizations such as the International Maize and Wheat Improvement Center in Mexico, the International Rice Research Institute in the Philippines and the International Plant Genetic Resources Institute in Rome. 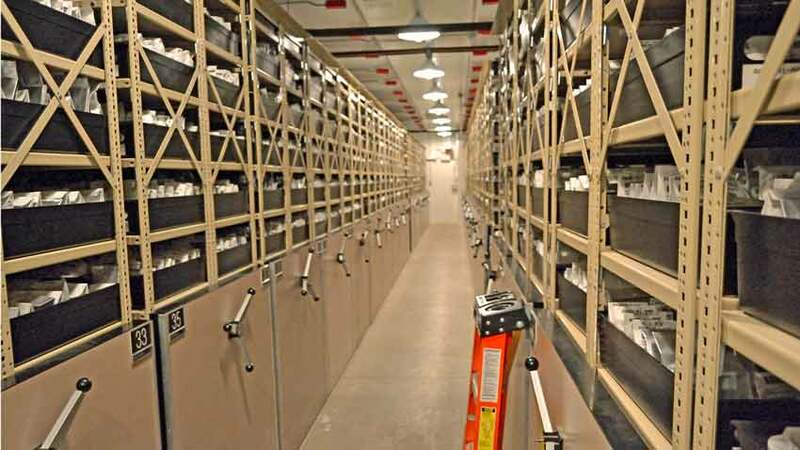 Founded in 1958, the NCGRP maintains, monitors and distributes seed and genetic material samples from their long-term backup storage. After receiving seed samples, they test, clean and condition the seed for the proper long-term storage environment. Two long-term storage methods are used. One is a traditional low temperature/low humidity storage and the other is liquid nitrogen storage. The traditional storage is kept at 0°F and 23% relative humidity. Seeds are kept in heat sealed, moisture proof foil laminated bags. Before seeds are stored in liquid nitrogen a sample is given a liquid nitrogen test to ensure the extreme cold won’t damage the seeds. The sample is exposed to liquid nitrogen for 24 hours, then germinated after coming back to room temperature and evaluated for any germination issues. 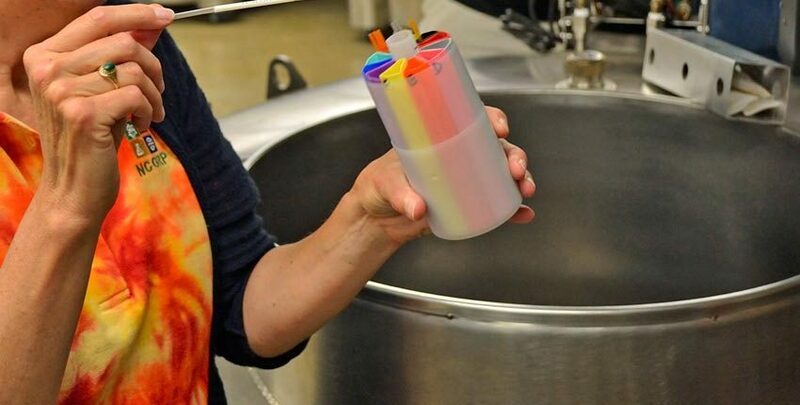 If the test results are normal the seeds are stored in clear polyolefin plastic tubes that are barcoded and sealed. 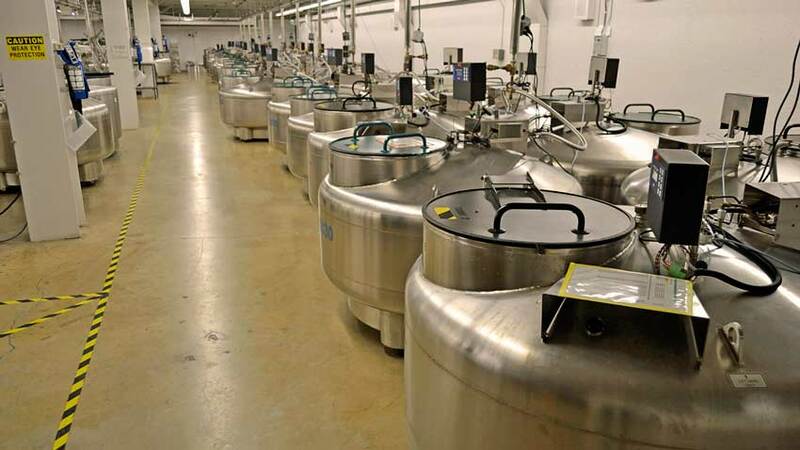 The filled tubes are arranged in metal boxes, labeled and stored in liquid nitrogen tanks. The vault housing both storage areas is completely self-contained and separate from the adjoining buildings. It has its own backup generator, can withstand up to 16 feet of flooding, tornadoes and the impact of a 2,500-pound object moving at 125 miles per hour. It also has a full suite of electronic security. If these approaches and techniques seem extravagant, it is with good reason. Our food availability and security increasingly relies on intensive production of fewer variety of crops that are very similar genetically. Along with increased production is increased vulnerability on a larger scale to pests, diseases and other stresses. 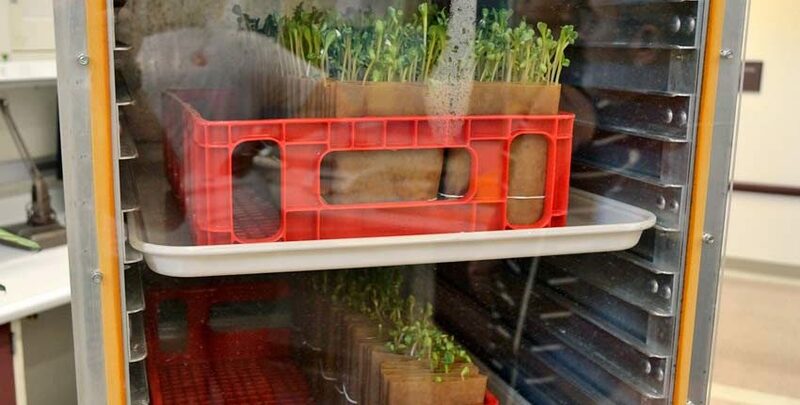 By collecting, preserving, testing, studying and distributing seeds and genetic materials immediate food system challenges can be met along with solutions and adaptations for future needs. Changes in growing conditions due to population growth, weather variability, transitions in land use and economic development all make the need for quality seed more important. All the players in the seed economy support and advance the knowledge and quality of our seed used today. Just as the home gardeners and garden clubs preserve local seed varieties, seed companies are a “back-stop” for them. Seed banks and research facilities back up the seed companies and provide material for seed research.